Better indoor climate, higher sales value, savings on electricity and heating bills and a boost of common areas. These are some of the positive effects that come with energy refurbishment of especially older houses. It makes sense to renovate at the same time as your neighbors and thereby achieving good prices for materials and man hours, as well as joint efforts can give the property or the neighborhood a visible and noticeable boost. That’s the message from Energy City Frederikshavn to cooperative housing associations and homeowners association in Frederikshavn Municipality. At present, the associations are contacted by the Energy City Frederikshavn offering meetings to inform about counseling and tailored financing of their common energy refurbishment. - Tailored financing solutions for e.g. new bathroom, new kitchen and landscaping for every house. The solutions will be found in cooperation with the owners and their financing institutions. - Establishing contact to professional craft business if wanted by the members of the association. Offering counseling and information about different types of energy refurbishment, their costs and expected effects is a part of an EU project called Innovate (Integrated solutions for ambitious energy refurbishment of private housing). - Including and involving the citizens is important for us, cooperating to create more energy efficient houses. Less energy consumption is good for the residents as well as for the environment. It also contributes to Frederikshavn Municipality’s strategy about reducing its negative impact on the environment, chief consultant Bahram Dehghan from Energy City Frederikshavn says. 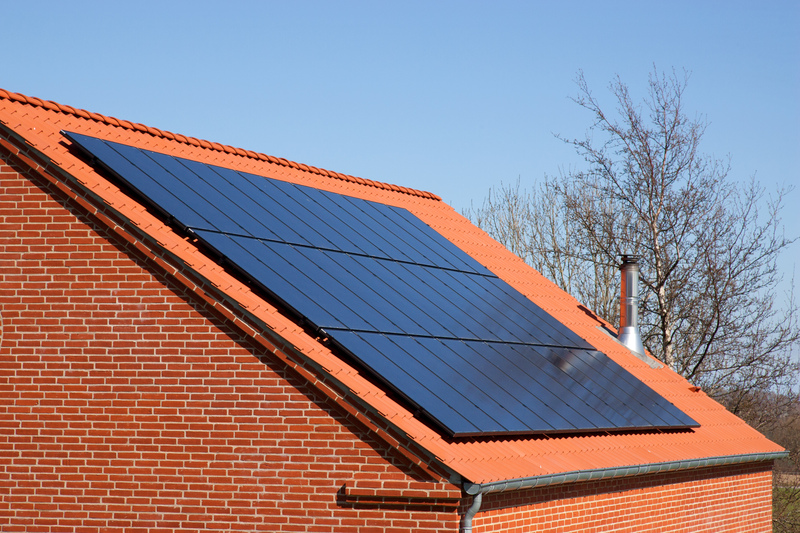 INNOVATE ends in May 2020, and its main purpose is to have more private homeowners at the same time energy renovating their homes and finding good financing solutions for this. The project also offers package deals for the landowners associations, so it’s possible for them having kitchen and bathroom renovated, domestic appliances replaced or the house’s lightning changed to new energy effective products at the same time as other energy related renovations (replacement of old windows, insulation, smart heating and so on). That means that if more homeowners in the association are interested, Energy City Frederikshavn can help describing wishes and proposals, having a dialogue with craft businesses about project management, and also discussing financing models with the associations. The background of the INNOVATE project is – among other facts – that the cost of the energy consumption is constantly rising, and about 30 pct of the total energy consumption in Denmark is used in the households. Therefore, optimizing energy consumption in private household is quite noticeable. Another EU project facilitated by Energy City Frederikshavn focused on private one-family houses, whilst this INNOVATE project is aimed at the cooperative housing associations and homeowners associations ensuring advantages for most people. INNOVATE is also in line with the strategy of Frederikshavn Municipality developing and creating “green jobs”, because the local craft business gain from the refurbishment projects.